Training and being physically active simply makes me feel good inside and out. It’s a natural high, because I know I’m doing my mind, body and soul some good. We can all spend money on material possessions, but many of us invest very little time and money in exercise and nutrition. Sometimes I struggle with time being a single dad – maintaining a career and managing a home – so I’ll go for a quick 15-minute intense HIIT session at the gym closest to my home. It’s amazing what you can achieve when you just focus on quality over quantity and being able to go to any leisure centre means I can pick and choose which one suits best. There are times when I feel like I’m too exhausted to train, but I know the best way to fight fatigue is by being active. The endorphin rush helps with how tired I feel and replaces it with “feel-good vibes”. I also find that being active helps me sleep much better too. 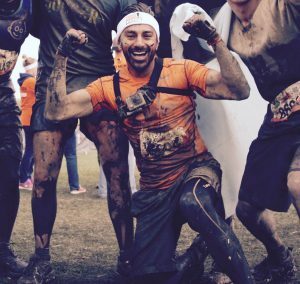 Since I started to take health and fitness more seriously, I’ve noticed one big change: when I achieve a new goal, through hard work and willpower, I now ask more of myself, accepting challenges I thought I could never do. I’ve found myself becoming mentally stronger and able to tackle life’s battles much better! 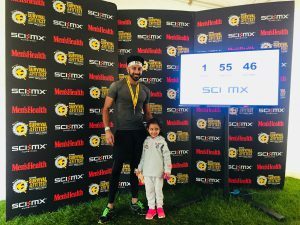 Before I started to train I used to struggle with depression and anxiety and, like many of us, the crazy pace of life affected me far more than I realised. Exercise has changed all that, and I’m now in a much better place, with a positive outlook on life and a drive to succeed. When we approach any obstacle in life, we can sink or swim, run or hide, break down or overcome. It just takes a degree of self-belief and a “can-do” attitude. Most of us talk a great game, yet may find it hard to bring it to life. I feel that being physically active works for my mind as much as for my body. 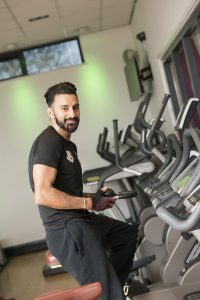 To find out more about how a Flexible Fitness membership can help you feel good, both inside and out, call 0115 876 1600 or pop into one of our leisure centres and join for £9.99 until the end of February.